Get the most out of your workstation with two ultra-high-def monitors via this Dual 4K Video USB-C Universal Docking Station which supports both DisplayPort™ and HDMI. Four USB 3.0 ports allow for workstation essentials like including mouse and keyboard. 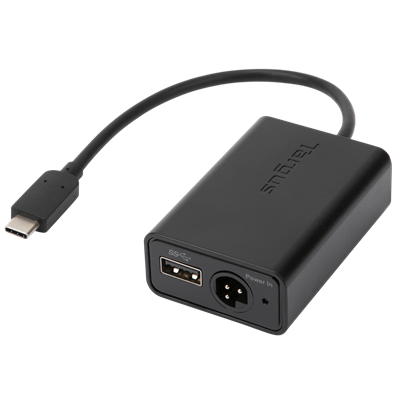 It’ll help keep your laptop, and your productivity, humming all day long as it delivers integrated power and charging for most USB-C laptops up to 60W. The dock also helps save real estate on your desk, with a wedge design meant to prop up your laptop. This dock combines power with productivity in a compact size. Windows 10 (32/64-bit), Windows 8.1, Windows 8, Windows 7. MAC OS X v 10.8, v10.9 or v10.10, Android 5.0, 5.1. Copyright © Targus Australia. All rights Reserved.